U.K. headquartered safety equipment supplier Survitec has unveiled a new emergency descent system. Called Evacuator, it is designed to evacuate people in time-critical emergency situations at altitudes of 6 m to 300 m. It can be fire-proofed to 1,750°C for 30 minutes. 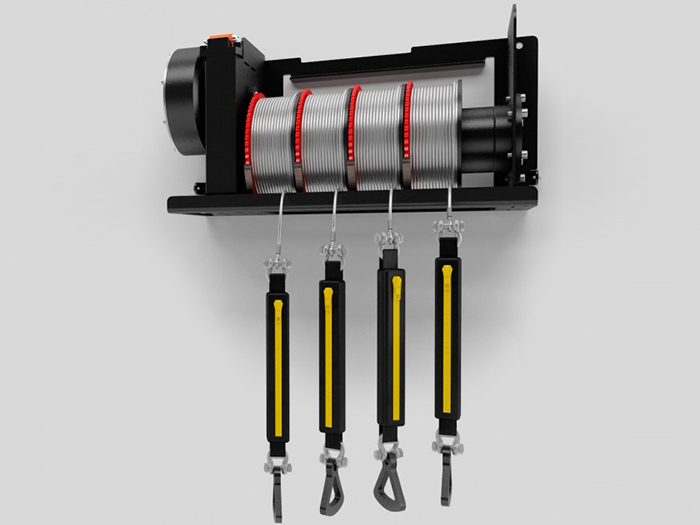 It is designed for use on all high-rise structures, including wind turbines, offshore substations, and harbor cranes. The system is fully mechanical and does not require electricity or any other power to operate, guaranteeing its operational reliability in all circumstances. The descent is fully automatic at a controlled speed of one metre per second. The emergency descent system is installed using four or six bolts that connect it to a solid surface. It is very easy to use with a “click on and go” mechanism. Each steel cable allows for multiple people to descend at once, providing their combined weight does not exceed 282 kg.